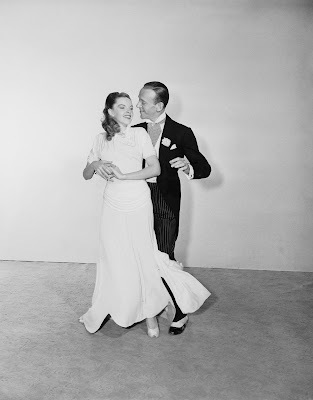 Easter Parade (1948), starring Judy Garland and Fred Astaire, is one of my TCM picks for this week. 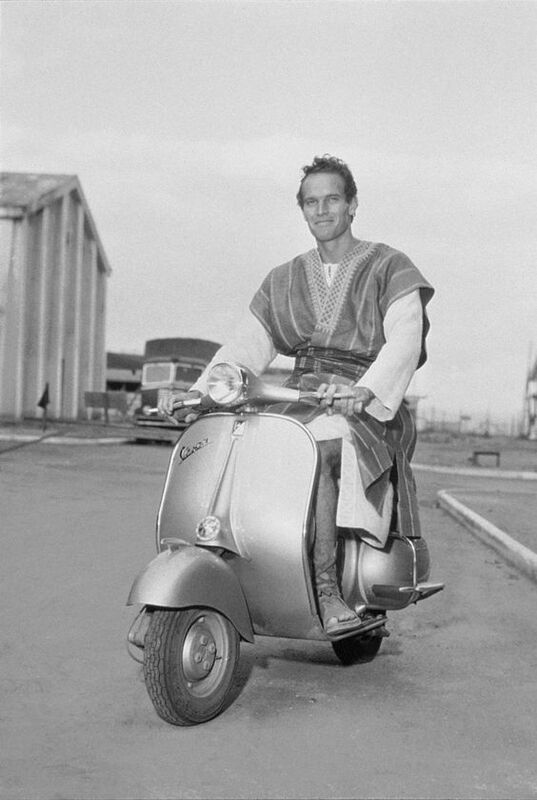 TCM is featuring Easter movies all weekend, including the musical Easter Parade (1948) and Biblical epics Quo Vadis (1951) and Ben-Hur (1959). Note: All times are ET and the highlighted text has links to full-length articles. Here's the complete schedule for March 26-April 1. Them! (1954) at 9:30 pm Monday: Dr. Pat Medford (Joan Weldon) doesn't realize that a giant insect is sneaking up on her in my GIF from this fifties science-fiction classic. This film about giant, mutated ants that terrorize a small New Mexico town has a great cast, especially James Whitmore as a machine-gun toting sheriff, and a memorable ants-in-the-sewers finale. Them! is part of a lineup of science fiction films about radioactivity. More radioactivity: Nuclear fallout has the opposite effect on businessman Scott Carey (Grant Williams) in The Incredible Shrinking Man (1957) at 8 pm. Poor Scott's Lilliputian size lands him in trouble with the family cat in one memorable scene. Carole Lombard and Fredric March in Nothing Sacred (1937). 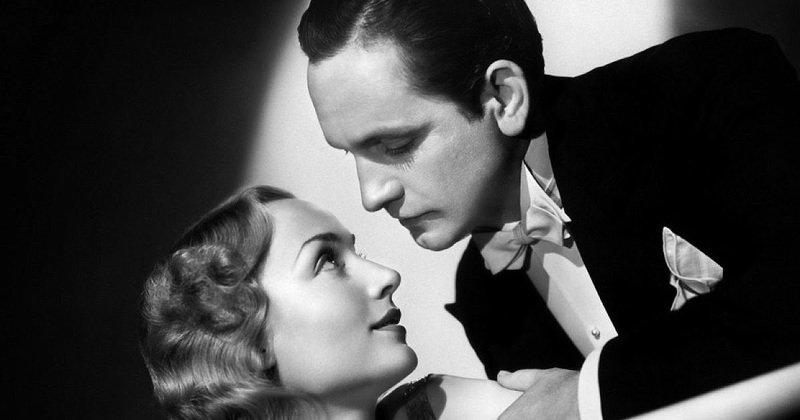 TCM's Tuesday afternoon lineup of Fredric March movies features two great screwball comedies. First, the actor plays a newspaper reporter who is sent to cover "terminally ill" grifter Carole Lombard in Nothing Sacred (1937) at 5 pm. Next, New England politician March gets romantically involved with a supernatural Veronica Lake in I Married a Witch (1942) at 6:30 pm. More March: It isn't quite a screwball comedy but both March and Joan Crawford are quite good in Susan and God (1940) at 2:45 pm about a flighty socialite whose religious devotions alienate her husband. John Wayne as Capt. 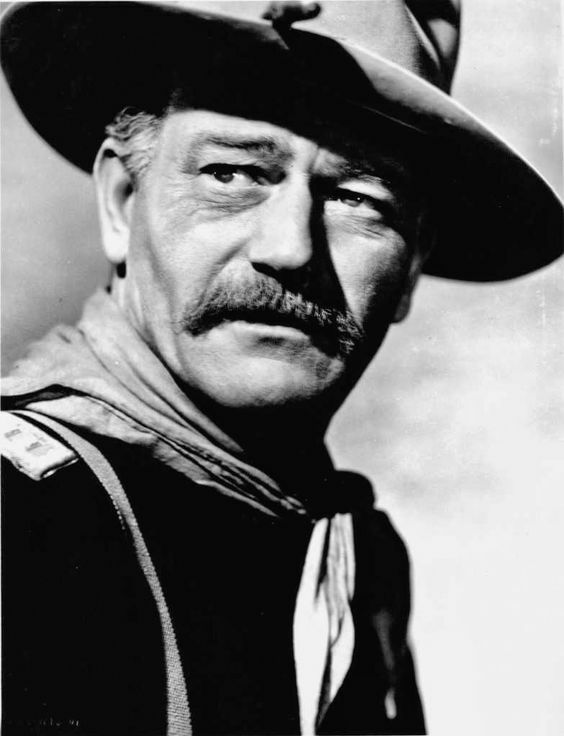 Nathan Brittles in She Wore a Yellow Ribbon (1949). She Wore a Yellow Ribbon (1949) at 9:45 pm Tuesday: John Wayne gives his most emotional and appealing performance in this John Ford-directed Western about a retiring cavalry captain who is sent on one last mission. There's also beautiful Technicolor cinematography of Monument Valley and great supporting performances from Mildred Natwick, Victor McLaglen, and Ben Johnson. More Johnson: She Wore a Yellow Ribbon is part of a night of films starring Johnson, a former rodeo performer turned actor. The night starts out with the excellent Ford Western Wagon Master (1950) at 8 pm (yes, this is were they got the TV show). Wayne and Johnson re-team for Chisum (1970) at 11:45 pm, which is about the cattle wars in New Mexico. The great character actor was born March 28, 1902, in South Shields, England. 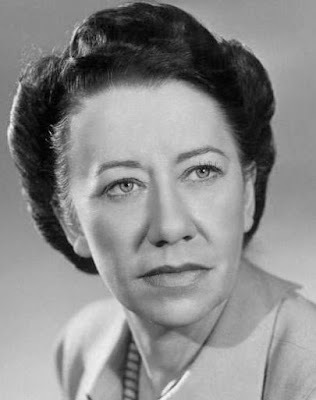 Robson was a legendary British thespian whose screen breakthrough came in playing the Russian Empress Elizabeth in The Rise of Catherine the Great (1934) at 6 am. 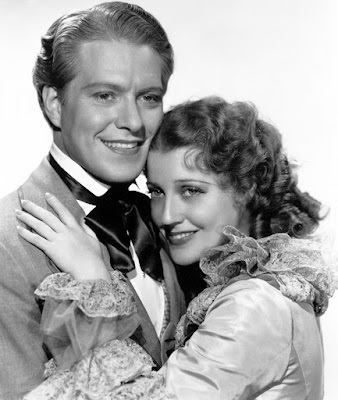 She was also a sought-after character actor in old Hollywood in movies like Wuthering Heights (1939) at 8:45 am. Robson's many contributions to British film include wonderful performances in the drama Great Day (1945) at 12:30 pm (a village prepares for a visit by Eleanor Roosevelt) and The Malta Story (1953) at 3:45 pm (the best World War II you probably haven't seen). Robson's later career includes her wonderful performance as playwright Sean O'Casey's mother in Young Cassidy (1965) at 5:30 pm. The Diary of Anne Frank (1959) at 8 pm Wednesday: TCM's night of World War II biopics includes this underrated film from director George Stevens about a group of Jews who must go into hiding after the Nazis invade The Netherlands. Stars Millie Perkins and Richard Beymer, who plays Anne's love interest, are perhaps a bit too teenybopper in their roles, but this film is an otherwise deeply moving portrayal of an ordinary girl who became a victim of the Holocaust. 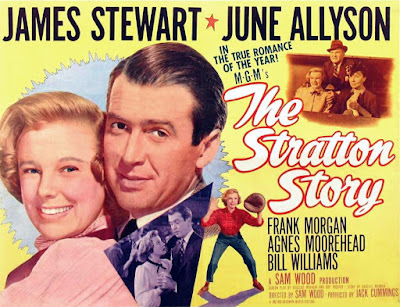 The supporting cast is exceptional, especially Joseph Schildkraut as Anne's beloved father and, at times, Stevens' taut direction achieves almost Hitchcockian levels of suspense (The Diary of Anne Frank is required reading in public schools today, but most people in 1959 would not have known her tragic story). More World War II: TCM's lineup includes biopics about war correspondent Ernie Pyle (Burgess Meredith in The Story of G.I. Joe (1945) at 11:15 pm) and future president John F. Kennedy (Cliff Robertson in PT I09 (1963) at 5:45 am). The Stratton Story (1949) at 6 pm Thursday: June and Jimmy's first of three films together was this biopic about Chicago White Sox's pitcher Monty Stratton. Part of a daytime lineup of baseball movies. More baseball movies: The fun musical Take Me Out to the Ball Game (1949) at 4 pm finds lady manager Esther Williams clashing with players Gene Kelly and Frank Sinatra. 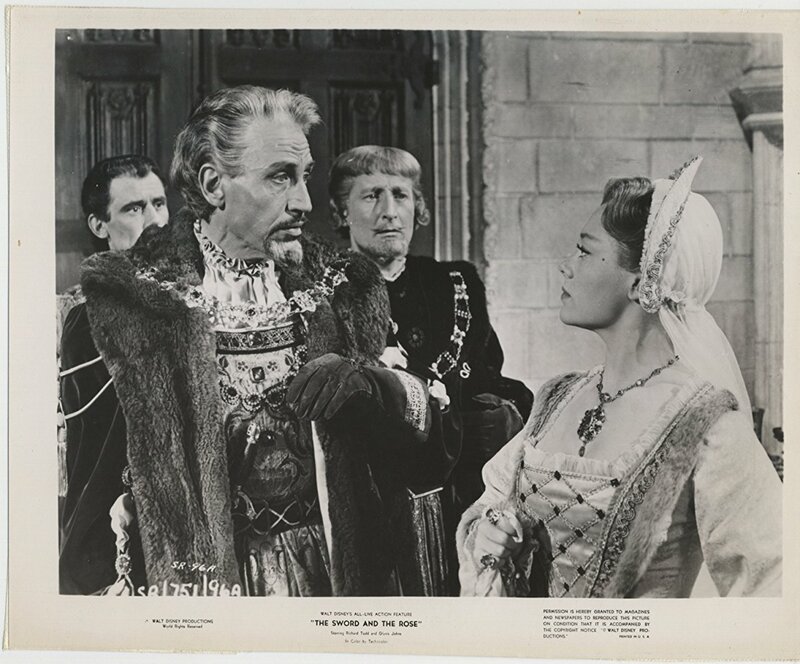 The Sword and the Rose (1953) at 8 pm Thursday: Film critic and historian Leonard Maltin is unearthing more treasures from the Disney vault including this highly entertaining swashbuckler about English princess Mary Tudor (Glynis Johns). 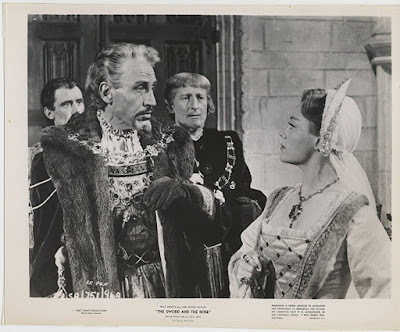 The location shooting, sumptuous sets and costumes and James Robertson Justice hamming it up as Henry VIII makes this appointment viewing. Maytime (1937) at 5:45 pm: A daytime lineup of films featuring opera stars includes the best film from popular musical duo Nelson Eddy and Jeanette MacDonald. Jeanette plays a beautiful soprano whose love for humble baritone Eddy is thwarted by her cruel manager/husband (John Barrymore). Despite this, they still get to belt out several memorable duets together including their theme song, "Will You Remember?" This beautiful blonde actress was one of the top stars in British films of the 1950s. First up are two noirs: Yield to the Night (1956) at 8 pm is a crime drama loosely based on the real-life story of a jilted woman who goes on a murderous rampage and The Long Haul (1957) at 10 pm in which Dors plays a Liverpudlian femme fatale who torments truck driver Victor Mature. Finally, Dors plays a beauty pageant contestant in the coming-of-age comedy Lady Godiva Rides Again (1951) at midnight. 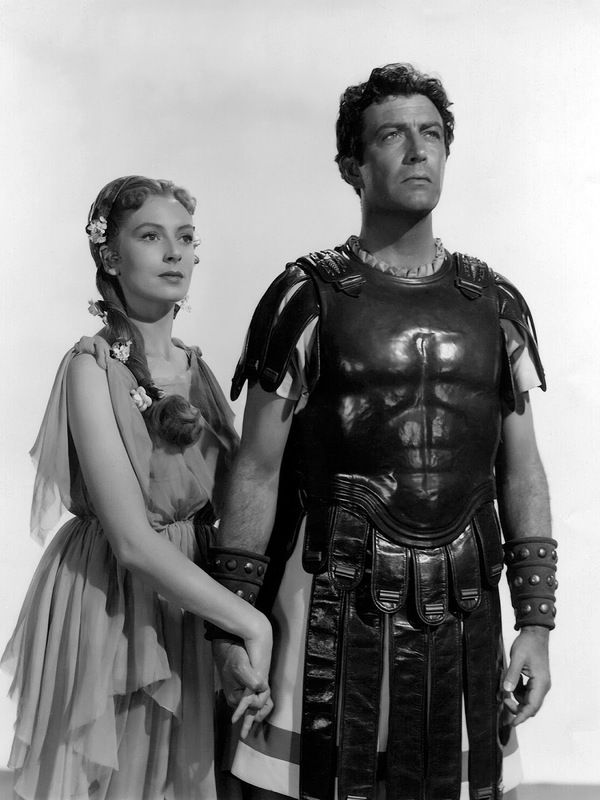 Quo Vadis (1951) at 2 am Saturday night/Sunday morning: From my review, "Quo Vadis seems to get somewhat overlooked when compared with other Biblical epics, but it is well worth watching for its complex portrayal of the early days of the Christian Faith." More religious epics: The Greatest Story Ever Told (1965) at 8 pm is the best of the old Hollywood Jesus biopics and Anthony Quinn gives a quite moving performance in Barabbas (1962) at 11:30 pm as a man who is haunted by his role in Christ's crucifixion. Ben-Hur (1959) at 1 pm Sunday: Charlton Heston rides a Vespa while filming this all-time great Easter film in Rome. Easter Parade (1948) at 8 pm and Holiday Inn (1942) at 10 pm Sunday: Composer Irving Berlin's holiday standard is one of the few secular Easter songs. Judy Garland sings the title tune in the colorful MGM musical (clip above), which is a holiday-viewing staple at my house. Holiday Inn is often thought of as a Christmas movie, but its Easter scene features Bing Crosby warbling the song to Marjorie Reynolds (clip here). 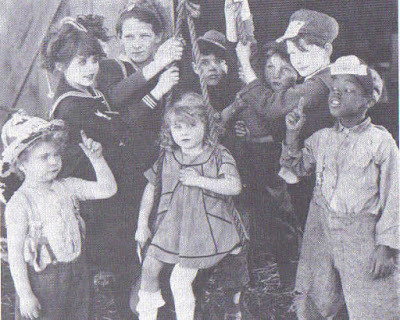 A newspaper photograph of the cast of the Our Gang short Fire Fighters (1922). This week's lineup features four Our Gang shorts starting at midnight Sunday night/Monday morning. The films airing are Fire Fighters (1922), Saturday Morning (1922), The Champeen (1923), and The Cobbler (1923).